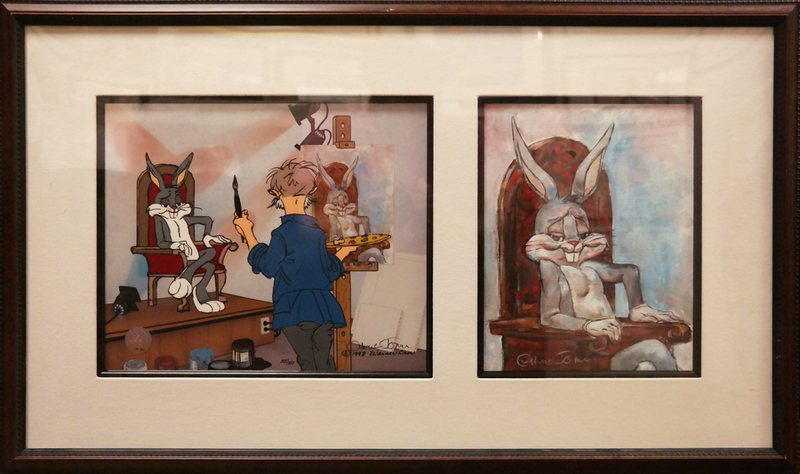 1) 8.5" x 10"; matte opening 10" x 12.5" 2)10" x 8.5"
This is a hand-painted limited edition cel and accompanying giclee print created and signed by Chuck Jones. The piece is titled "Self Portrait With Grey Hare." 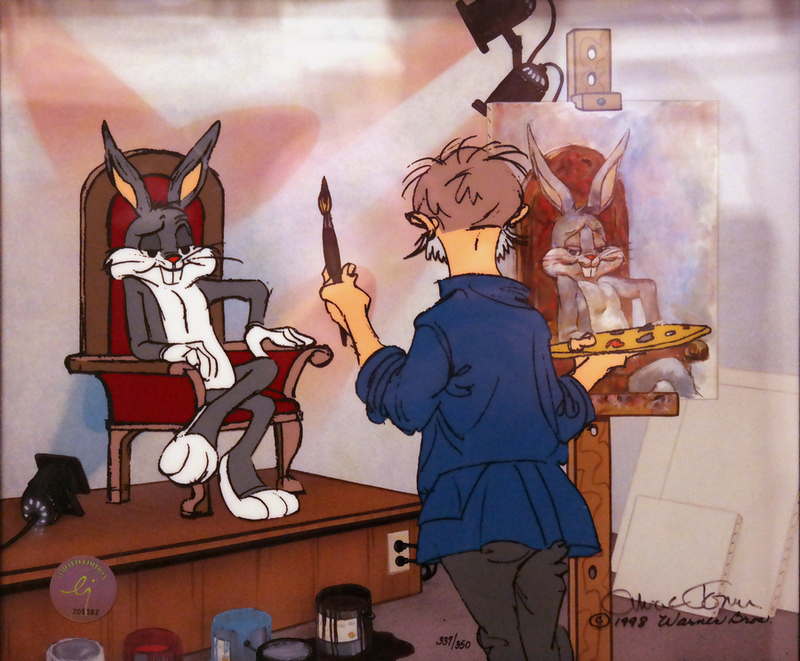 The cel features Bugs Bunny sitting for a portrait, and the giclee features that portrait. The piece is displayed as a diptych, with the cel having a matte opening of 10" x 12.5" and the image itself measuring 8.5" x 10". The giclee measures 10" x 8.5" with the image taking up the entire area. 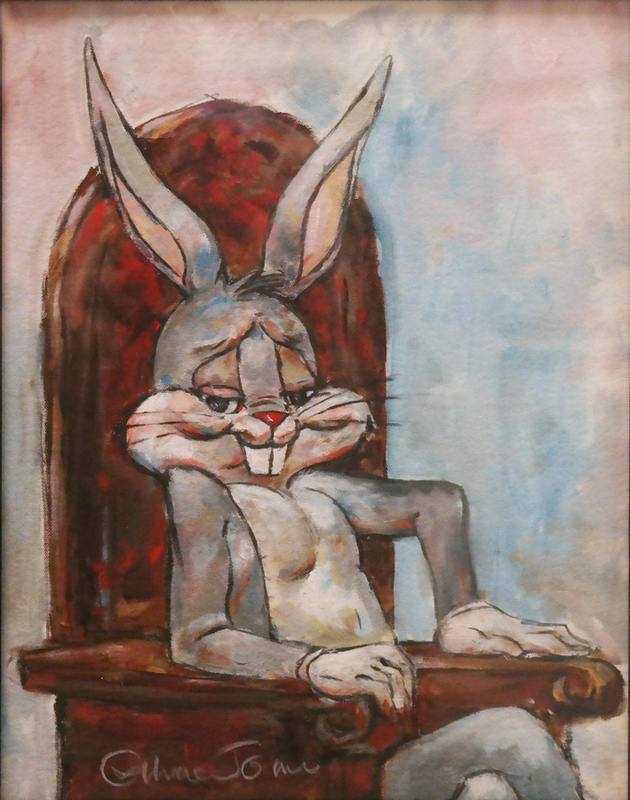 The entire framed piece measures 17.5" x 29.5", and comes with the original Certificate of Authenticity from the art publisher attached to the back of the frame. 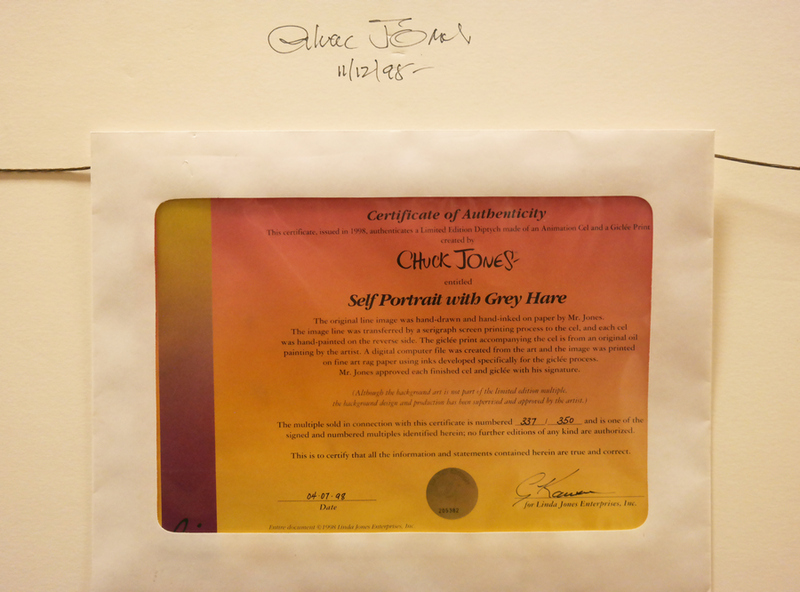 The cel is signed by Chuck Jones, and he also signed the backing board of the frame. 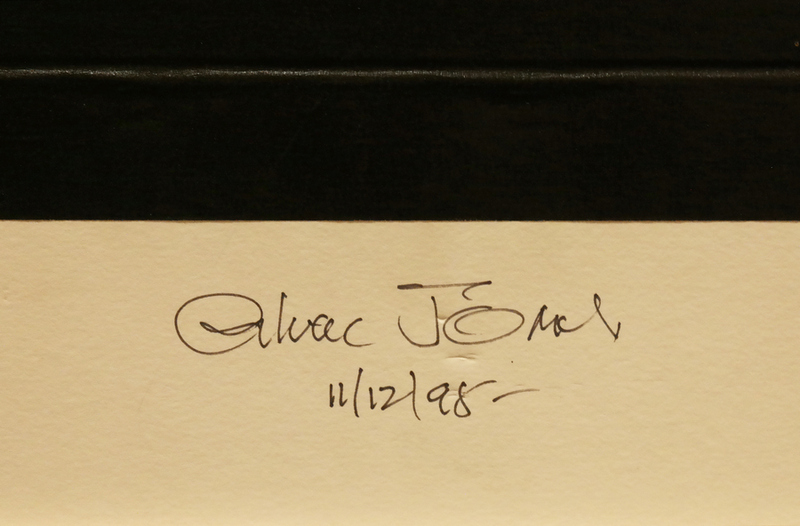 The piece is number 337 from and edition of 350, and is in excellent condition.